Soften cream cheese in microwave and stir in Razzle Dazzle Berry mix. Fold in Cool Whip and mix well (use mixer for best results). 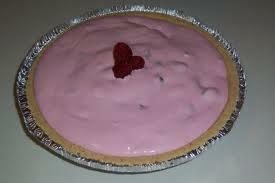 Place Razzle Dazzle Berry mix in Graham Cracker Crust and place in freezer for 1/2 hour or longer to chill. Can add a dollop of cool whip or fresh raspberries to pie before serving.